The first of seven phases of the 17th general elections — along with four state Assembly elections — kicked off on Thursday, 11 April, across 20 states and Union Territories. Over 900 million of India’s 1.3 billion citizens are eligible to vote in the world’s largest elections. Braving the soaring temperature, young and old, men, women and transgender persons came out to vote. In the first phase of polling, some constituencies witnessed above average voter turnout, whereas some could not even reach the double digit figures. 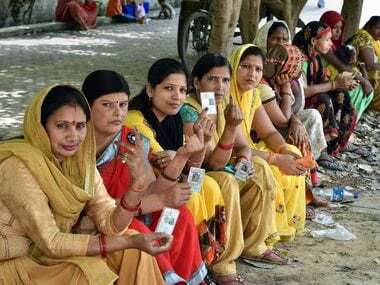 In all, 55.78 per cent voters exercised their franchise in seven Lok Sabha constituencies in Maharashtra, officials said. In Andhra Pradesh, an impressive turnout of over 73 percent was recorded in the single phase Assembly and Lok Sabha elections. 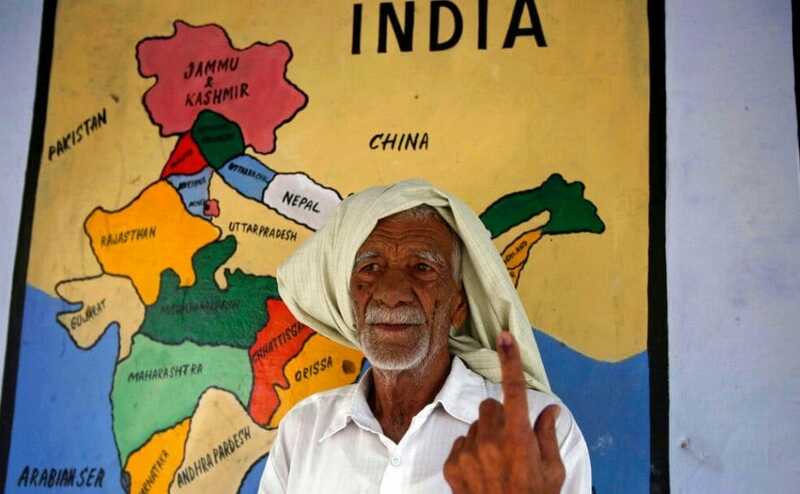 Jammu and Kashmir Thursday recorded an overall turnout of over 55 percent in the Jammu and Baramulla constituencies, even as there were protests over defective EVMs in some areas. 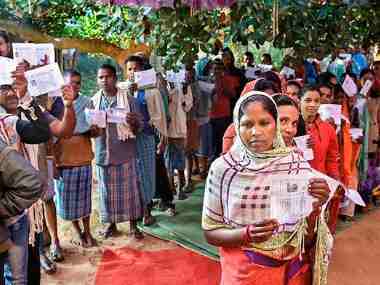 Though the voting in most parts of the country remained peaceful, the election process wasn’t smooth for some constituencies in West Bengal, Andhra Pradesh, Chhattisgarh, Tripura, Maharashtra and Bihar. The first phase was marred by bursts of violence in some states and IED explosions in Naxal-affected areas. Andhra Pradesh, in particular, saw several incidents of violence taking place. In Anantapur district’s Veerapuram village, a Telugu Desam worker Bhaskar Reddy was killed in clashes between TDP and YSR Congress Party workers. Two others are in critical condition from the same attack in this high-stakes battle for the state. Polling equipment was destroyed in Srinivasapuram village in Guntur when a fight broke out between opposing party workers. Further, in Gudemcheruvu, Putthalaputtu and Jammalamudugu, party workers were injured in stone-pelting incidents. The violence went a step further when two female voters were injured in a clash between TDP and YSRCP workers in Jammalamudugu in Kadapa. 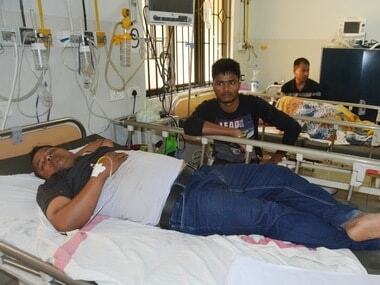 The Andhra Pradesh Legislative Assembly Speaker, Kodela Siva Prasada Rao, fainted after he was attacked by YSRCP workers in Sattenapalle Assembly constituency. In total, 10 clashes were reported between TDP and YSRCP workers in Andhra Pradesh. In West Bengal, too, sporadic incidents of violence took place. A clash early in the day was reported between Trinamool Congress (TMC) and BJP workers in Cooch Behar. All three were hospitalised for their injuries. News also surfaced of Ghatal Lok Sabha convener, Tapan Maity’s car being vandalised by alleged TMC workers at Maisara, in Panskura constituency. The state of Bihar also reported violence. Clashes broke out between BJP and RJD supporters over the latter allegedly forcing voters’ choice for elections in Nawada constituency. The northeastern state of Tripura, too, saw a clash between Congress and BJP workers that left about 12 injured, of which eight are currently critical. This incident took place in West Tripura constituency and the injured were shifted to GBP hospital in Agartala. No incident of violence was reported across Jammu & Kashmir. As political street fights delayed the democratic process in the other states, Maoists further hampered it in the states of Chhattisgarh, Maharashtra, Assam and Andhra Pradesh. IEDs were discovered by security officials at polling booths in Assam and Vishakhapatnam in Andhra Pradesh. IEDs in Maharashtra’s Gadchiroli and Chhattisgarh’s Narayanpur exploded. However, no injuries have been reported. Zero percent polling was recorded in some Naxal-affected regions of Odisha. Fifteen booths in Chitrokonda and Mathili in Malkangiri district did not see any voter turnout. As seen in previous state Assembly elections, there were several reports of EVM malfunctioning in the country. Andhra Pradesh Chief Minister Chandrababu Naidu has called for repolling in some regions, claiming a failure of 30 percent of the EVMs. More such reports came from Manipur, West Bengal and Tripura. 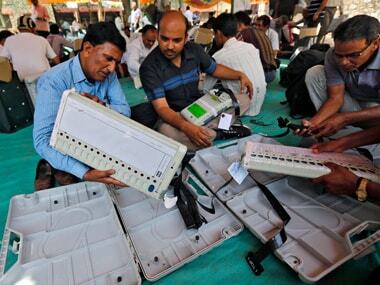 Over 100 EVMs have been reported as malfunctioning in Saharanpur in Uttar Pradesh. The BJP has also alleged election rigging in both Cooch Behar and Alipurduar Lok Sabha constituencies in West Bengal. An EVM has been ransacked in Cooch Behar, say reports. The miscreants have not been identified. Despite the negative forces preventing voters from exercising their right, they turned up to vote. As is the norm, senior citizens turned up with enthusiasm. Women in some sensitive Naxal zones in Bastar turned up in large numbers after travelling about 15-20 kilometres. Several booths were set up for the assistance of physically challenged individuals as well, where they were offered assistance with wheelchairs, Braille-equipped machines and more. In states like Chhattisgarh and Odisha, polling booths arranged for ORS and refreshment drinks for voters. Several female voters travelled more than 20 kilometres on foot, starting their journey at 4 am to visit polling booths in Bastar to cast their votes. The states of Uttarakhand, Telangana, Sikkim, Andhra Pradesh, Mizoram, Nagaland and Arunachal Pradesh completed voting today, in the first phase of the elections. It remains to be seen whether Congress, that won the Hindi heartland — Madhya Pradesh, Chhattisgarh and Rajasthan — in 2018 state Assembly elections, can repeat its formula in 2019, or whether the Narendra Modi-led BJP returns to power.